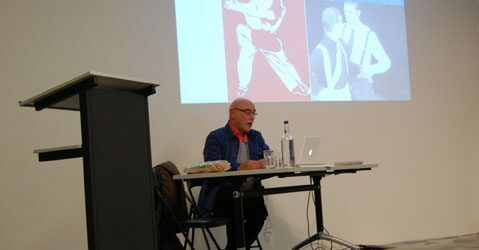 This is the third lecture in a series of four by Adrian Rifkin, Professor of Art Writing, in association with Goldsmiths’ MFA in Art Writing. Rifkin takes up Jaques Ranciere’s notion of the ‘aesthetic regime of art’ to explore possibilities of an aesthetic regime of writing on art, and the consequences of art writing for other practices. MFA Art Writing at Goldsmiths’ is a programme for practitioners who want to develop work that addresses art as writing, writing as art, and writing about art. Book online here. If you have enquiries, please call 020 7749 1240 or email bookings@rivingtonplace.org. Concessions: For a concessionary rate (students, over 60s, unemployed) enter the code: Iniva_concession on eventbrite. Please print out your ticket and present proof of concession when you arrive at Rivington Place.